Days of Our Lives End of 2018 Preview: Loving Couples, Warring Rivals, and Jack. Freaking. Deveraux. Days of Our Lives latest promo was released yesterday at the annual "Day of Days" event in Los Angeles. It&apos;s about three minutes in length and chock full of rich, tasty, soap opera goodness. Let&apos;s get into it. The preview presents in phases starting this week through the end of the year. 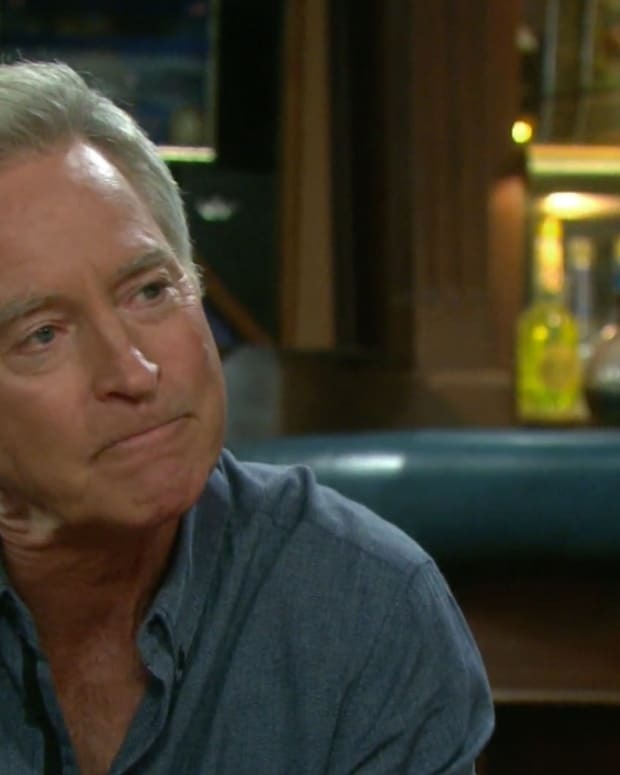 The first section, "Love Will Soar" featured Jarlena (Deidre Hall, Drake Hogestyn) being all blissfully happy and dripping in Jarlena-ness leaving stans giddy with anticipation. Lani/Eli/Sheila (Sal Stowers, Lamon Archey, T-Boz) are up next. Lani is jealous and Eli is all giggly that she is jealous. They look cute. Smoldering CIN (Robert Scott Wilson, Victoria Konefal) is up next and they&apos;ve decided that neither one of them is "too broken" and start making out in front of the Brady Pub. This does not thrill Hope (Kristian Alfonso), who is tipped off by Rafe (Galen Gering). Claire (Olivia Rose Keegan) just wants them to get a room. We end this segment with a WilSon (Chandler Massey, Freddie Smith) kiss under the mistletoe and the realization that Paul (Christopher Sean) knows . . . The next segment is "Secrets" and it starts off with Paul revealing he is on to WilSon and has it out with Will. 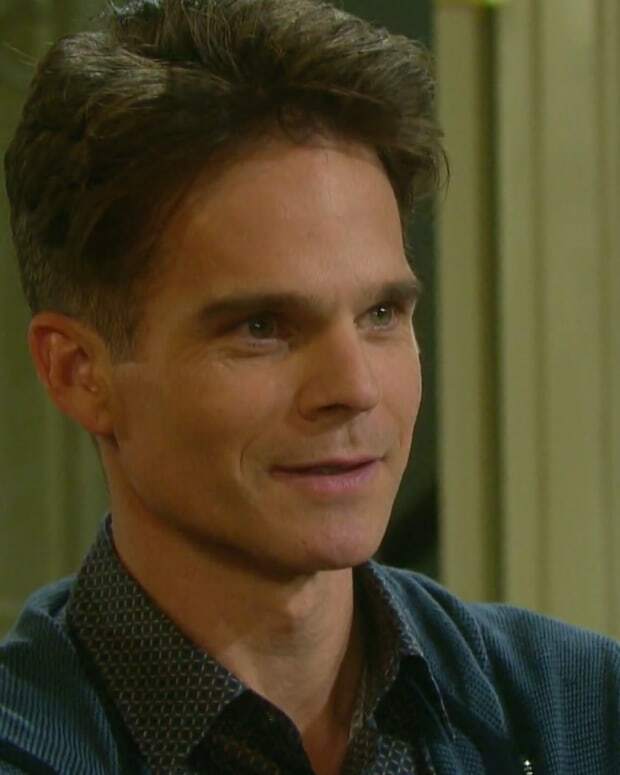 Meanwhile, Sonny is confronting Kate (Lauren Koslow) about using Leo (Greg Rikaart) to blackmail him out of the CEO chair. Kate looks like she has zero f**** to give as she kind of smiles at Sonny as he is calling her a MEAN LADY! CIN is back. Ben tells Ciara that Tripp (Lucas Adams) set him up! Tripp gets all up in Ben&apos;s face . . . Really, Tripp? Do other funny things. Ben sets him straight by pointing out the only guilty man, um, BOY is Tripp. Yes, please, may I have some more please? The next segment is: "Tables Will Turn" where "The role of Abigail Deveraux DiMera is now being played by Kate Mansi." Abigail has recruited Julie (Susan Seaforth Hayes) and maybe Kayla (Mary Beth Evans) to help her take Gab"i" (Camila Banus) down. Julie saying she can be devious too is the understatement of the last 50 years. Julie was always a schemer and devious until she started taking cruises with Doug (Bill Hayes) . . . even then, it happened on occasion. Julie. Is. Back. She&apos;s scheming and sleuthing and slapping the taste out of Gab&apos;i&apos;s mouth when she finds out about the daddy swap. In the same segment, Hope is talking to somebody on the phone about how she is lying to her husband. Rafe comes in the front door just as TED (Gilles Marini) is coming out of the bathroom all up in a towel. Ted pulls no punches as he explains that Hope cheated with him because Rafe cheated first. Rafe pops him upside the head and Ted goes down. The next segment, "Battle Lines Drawn" features Kayla and Roman (Josh Taylor) on a quest to take down Stefan (Tyler Christopher). Angry voices and breaking glasses ensue. What has to happen after "Battle Lines" are drawn? You&apos;ve got it! "Sides Chosen." This section featuring what could be the best story of the bunch. Eric (Greg Vaughan), Maggie (Suzanne Rogers), and Chloe (Nadia Bjorlin) all thinking they have a claim on Baby Holly. Sarah (Linsey Godfrey) figures heavily in this story as she is getting close to Eric - I&apos;m sure Nicole (Arianne Zucker) would be thrilled - and developing what could be a delicious rivalry between Sarah and Chloe. Oh, and it looks like we&apos;re getting a Chloe and Brady (Eric Martsolf) (#Broe) reboot. I&apos;m here for it and the possibility of warring couples (Brady/Chloe vs. Eric/Sarah). SO. MUCH. FUN! Now, we&apos;re headed into the rapid fire round and we begin with Hope pulling a gun on someone with Ted by her side. Who is Hope going to shoot. . . . this time? Next we see a very stunned Gabi who appears to be getting shot in the gut, but seems more likely to be editing - maybe not. Maybe somebody threw up on her shoes, who knows? Next, we get the parade of slaps and punches: Eric punches Brady. Abigail punches Gabi. (Possibly at Gab&apos;i&apos;s wedding to Chad [Billy Flynn]?) Jennifer (Melissa Reeves) slaps Chad. Hope punches out somebody in front of the Brady Pub. Ben grabs JJ (Casey Moss) (I could totally be wrong here) by the collar and blanket woman pushes her tray off the bed. Who do you think Hope knocked out? Was that JJ that Ben held up by the collar? Who is blanket woman? Next, we&apos;re back to kissing! Doug and Julie kiss, Eli and Lani kiss on the bed, Brady and Chloe kiss, and Rex (Kyle Lowder) proposes to Sarah. All of the love of all of the couples warms the cockles of my soap loving soul. As we start to see the shift from 2018 to 2019, Eve (Kassie DePaiva) returns, pours herself a drink, and looks like New Year&apos;s Eve REALNESS. Gabi and Chad make a toast. Abe (James Reynolds) and Sheila do the bump and Sheila loses her cookies . . . all over Abe&apos;s shoes. I SO hope they are going to a Shabe pairing . . . but could we also keep Valerie (Vanessa A. Williams), please?! A "Surprise Return" is announce: It&apos;s LEO! Y&apos;all remember, right. Dead Leo...who Sonny killed...and WilSon rolled up in a carpet...and put him in the trunk of his own car before the body disappeared. Victor&apos;s (John Aniston) line about making sure someone is actually dead just wrecked me. Rikkart looks like he is just a kid in a candy store when he gets to giggle at Will and Sonny, and their stunned faces. I can&apos;t wait to watch this one unfold. A New Girl in Town: Haley (Thia Megia) works at the hospital as a nurse. They are clearly chem testing here with JJ . . . they seem to pop in this one little scene. I&apos;m keeping my fingers crossed. JACK. IS. BACK. I have to believe Jack (Matthew Ashford) is crashing a New Year&apos;s Eve party. It appears that a bunch of our favorite characters are mixed with an equally large number of extras to make up a very large party. I LOVE when big announcements are made in front of all of the people at a big party. I can&apos;t wait. CAN. NOT. WAIT. When I watched this preview the first time - yes, I have now watched this preview ELEVENTY times - I laughed. I squealed. I cried. I felt all the emotions . . . which is exactly what a soap opera should do. What did you think? What are you excited about? What faces did you think were missing? Watch the promo below and sound off in the comments!